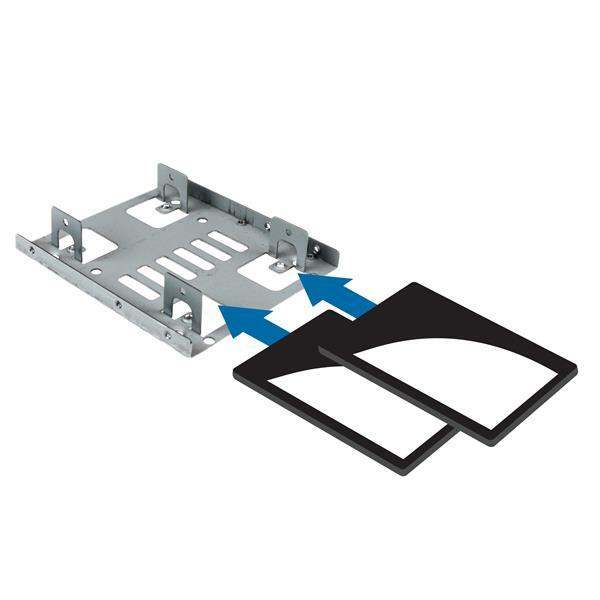 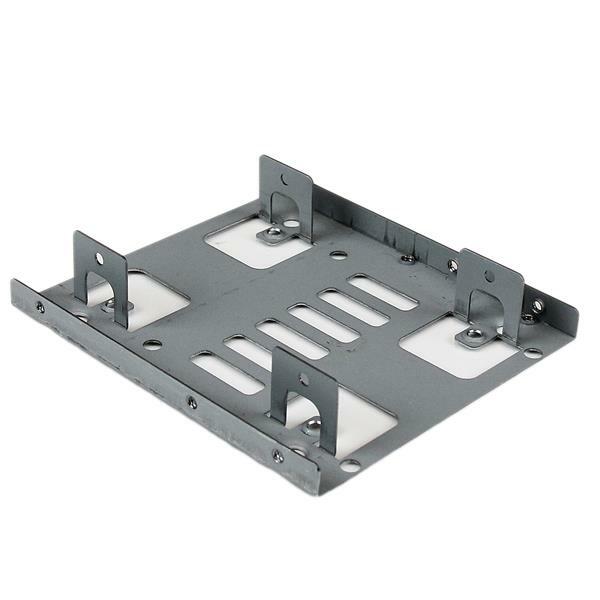 The BRACKET25X2 Dual hard drive mounting bracket kit lets you install two 2.5in SATA hard drives (HDD) or solid state drives (SSD) into a single 3.5in mounting bay -- enabling you to significantly increase the performance of your desktop by adding the speed of a 2.5in SSD. 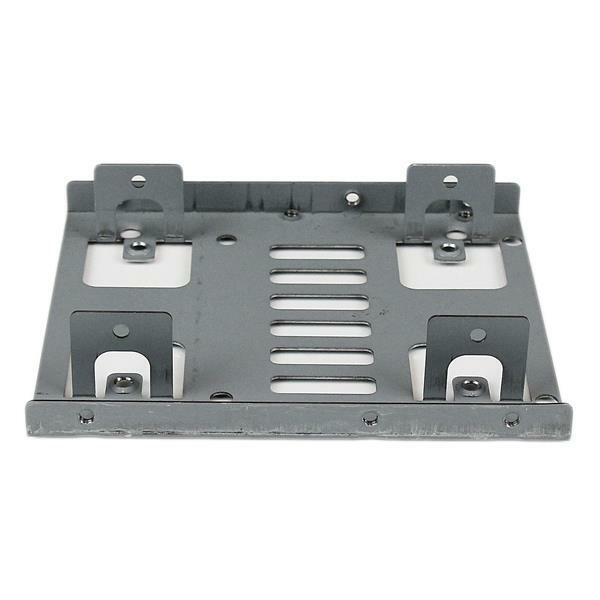 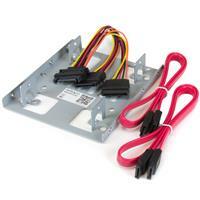 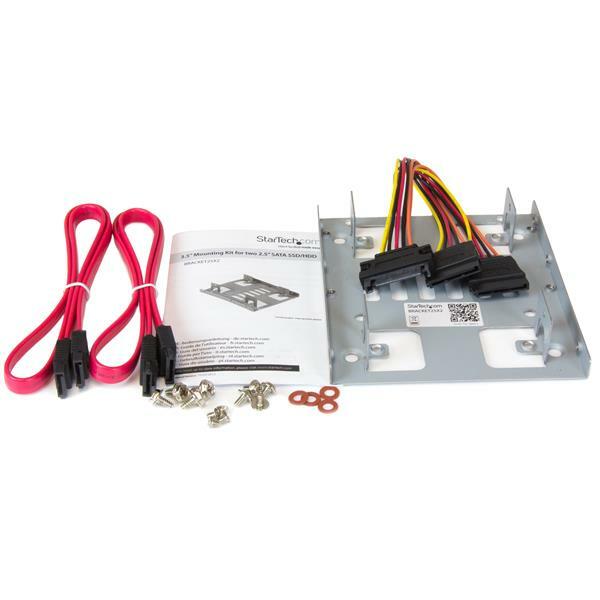 For a hassle-free installation, the hard drive mounting kit includes all required data and power cabling for both SATA drives. 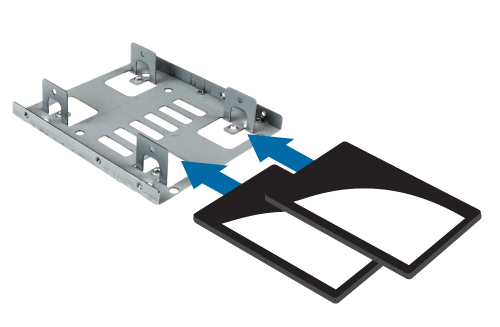 Plus, the bracket can support IDE drives when using our 2.5in to 3.5in IDE Hard Drive cable adapter (IDE4044). 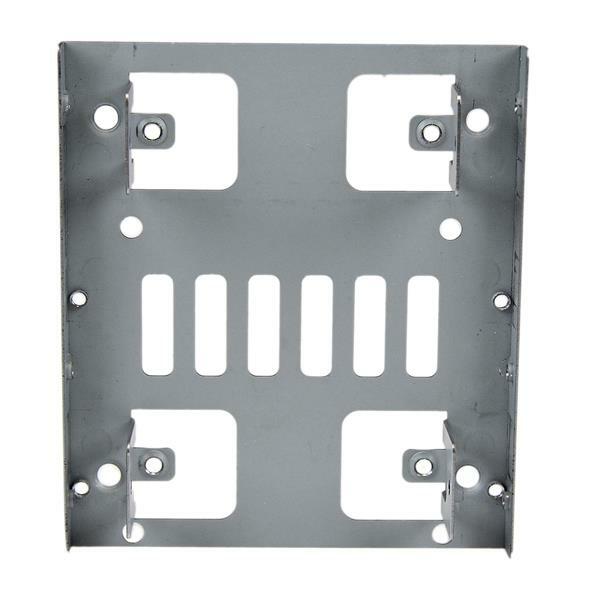 The BRACKET25X2 features solid steel construction, and is backed by a StarTech.com lifetime warranty and free lifetime technical support.